DividendMax»Company Coverage»Country:United Kingdom»Exchange:London Stock Exchange»Sector:Real Estate Investment Trusts»Company:Primary Health Prop. 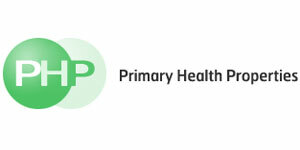 Following the purchase of a small portfolio of primary care premises, Primary Health Properties PLC ('PHP') was incorporated in 1995 and floated on the Alternative Investment Market in 1996. On 5 November 1998, PHP achieved full market listing on the London Stock Exchange. On 1 January 2007, PHP became the UK's first dedicated healthcare Real Estate Investment Trust ('REIT'). The Group's portfolio comprises over one hundred and fifty primary healthcare facilities, both completed and committed, the majority of which are GP surgeries, with other properties let to Primary Care Trusts (PCTs), pharmacies and dentists.